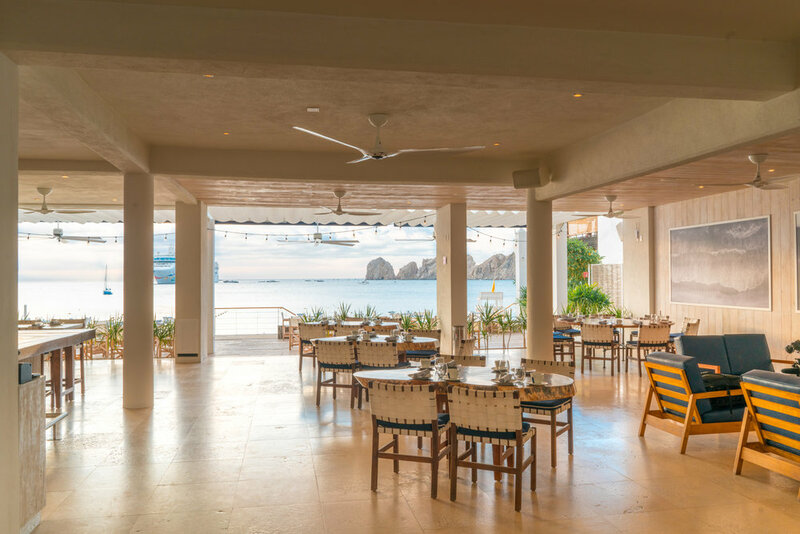 From the creators of the Bahia Hotel & Bar Esquina, SUR Beach House brings new life to another historical Medano property perfectly situated on Cabo’s most swimmable shoreline. We designed SUR to feel like your very own Baja beach house. Enjoy the vibrant atmosphere accompanied with music curated daily by DJs & Live Music. Whether it’s – a chilled bottle of rosé, muddled cocktails, fresh oysters, a bucket of ice-cold Pacificos, or anything else from Chef Andres’ inventive and internationally-inspired menu, SUR has you covered. You’re here for adventure, and many of those adventures will begin at Cabo SUP. Stand-up paddle-boarding is our passion and our specialty – we rent boards, and guide tours out to the Cabo’s iconic Arch – but we’re much more than SUP. Food inspired by the bounty of Baja and the spectacular sea SUR sits on. Our in-house Sommelier and mixologist, Nizuniro - or you can call him Nizu - has built a beverage offering that perfectly complements Chef Andres’ dishes. With seasonal handcrafted cocktails, craft beer and wine options from across Mexico and around the world, every plate has a perfect pairing. SUR is a spectacular spot for celebrations big and small. We offer various options, including buyout packages, throughout our event spaces, which include the beachfront, terrace, open air restaurant, and upstairs palapa. Each space includes sweeping views of the Sea of Cortez, providing the perfect backdrop for your big day. Click here to review our sales kit. Want to stay nearby? SUR is part of the Bahia Hotel, a boutique hotel just a 30-second golf cart ride or 3-minute stroll away.